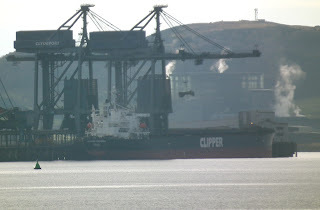 Bulk carrier Clipper Emperor unloading at Hunterston 28 January 2011. Caledonian Macbrayne's Loch Alainn on service with Caledonian Isles in the background 28 January 2011. 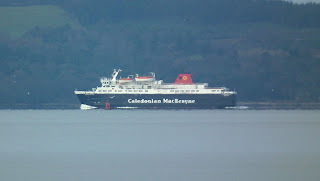 Caledonian Macbrayne's Caledonian Isles returning to Ardrossan 28 January 2011.